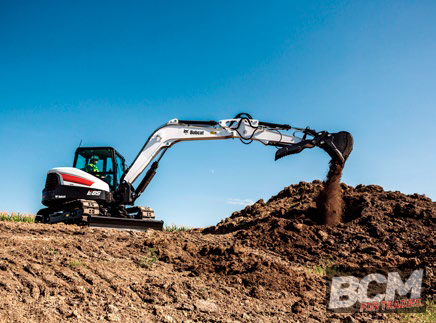 As the largest machine in Bobcat Company’s expanded R-Series excavator line-up, the 8.5-tonne E85 is part of the fastest-growing-size class of compact excavators in North America, a trend that is also filtering through to Australia. The minimal tail swing Bobcat® E85 excavator has class-leading digging capacity and depth with powerful hydraulics and fast cycle times to provide the power to push through the most demanding road, utility and site preparation jobs. The E85 has been redesigned with performance, up time protection and operator comfort in mind, and features the same bold, distinct design and other cab upgrades as the E32 and E35 R-Series compact excavators introduced in 2017. As part of the new R-Series, the 66-horsepower E85 model will now be designed and manufactured in Bismarck, North Dakota. It shares the same Bobcat® turbo-charged diesel engine technology – that does not require a diesel particulate filter (DPF) or selective catalytic reduction (SCR) – as similar cab upgrades found on the current R-Series excavators. A new standard lift eye is included to help operators properly lift and place objects. The 13 inches of tail overhang allows the E85 to work in compact environments, including construction, landscaping, utilities and agricultural. The excavator’s boom swing frame stays within the width of the machine’s tracks as it swings, making it easier to operate in confined job site conditions and next to buildings or other obstructions where larger equipment can’t fit. R-Series excavators, there is more floor space in the E85 for the operator’s feet and legs. Redesigned travel pedals conveniently fold away, maximizing floor space even more. The E85 seat and cab are also wider, providing plenty of elbow room. Operators will appreciate the optional automatic heating and air-conditioning systems for complete control over the cab climate. When it’s cold outside, an optional heated seat takes operator comfort to another level. Bobcat E85 excavator cabs are rated as a Level 1 Falling Object Protective Structure (FOPS). The improved top window and narrower side pillars contribute to visibility that’s never been better. Operators can get a better view of the excavator’s work group and surrounding areas with class-leading visibility from the cab. Left and right mirrors enhance the operator’s visibility from inside the cab. A new sun visor over the top window shields operators’ eyes from the sun on bright days. 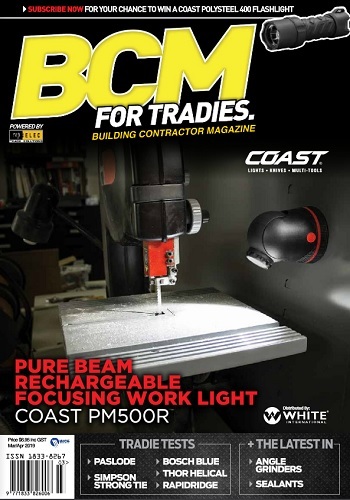 The new machine features a standard, easy-to-reach control pattern selector. This feature is conveniently located within the operator’s reach, allowing the operator to quickly switch from ISO controls to standard controls. With the re positioned second auxiliary hydraulic selector switch, operators can toggle between the optional second auxiliary and the boom offset without removing their hands from the left joystick. The design maintains wide-open access to the engine area for daily maintenance checks. Operators have panoramic access to the engine and routine maintenance components for superior servicing and minimal machine downtime. Bobcat excavator operators can dig faster using less effort and have greater precision with the depth check system– an optional accessory available for select Bobcat excavators. The E85 can be equipped with a depth check system, allowing operators to accurately measure depth and grade without exiting the excavator. The depth check system has an accuracy of ± 0.5 inches, minimizing excavator operators from stopping the machine to measure depth.